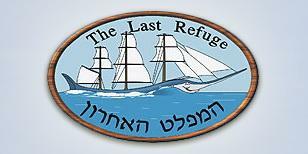 The Last Refuge restaurant seafood best in Eilat, located at Pier boats near the sea. Romantic atmosphere authentic and is designed Maritime Museum lights Aqaba sprouting from the windows of the restaurant. 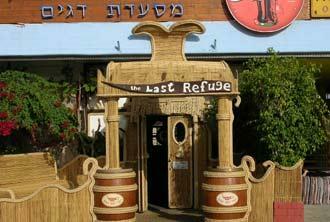 last resort restaurant veteran Eilat with experience of over 20 years in Eilat and previously seven years Sinai coast Naama Sharm el-Sheikh before evacuation. among the guests at the restaurant Eilat residents dear ministers, Knesset members, artists, guests from the north and tourists from around the world. restaurant specializes chives fresh fish on a charcoal grill and kitchen seafood.